A huge talking point in the build up to this match was the story of Sheffield Wednesday striker Gary Madine being sentenced to18 months in prison for two counts of assault. The club are yet to release an official statement regarding the contract of the player (which has 3 years remaining) and is expected to do so after this match. After a morale boosting performance against Brighton, the Owls were hoping Ipswich would be the match they record their first win of the season. Sitting high in 10th position though, the Tractor Boys would be no easy opponents - even though they did throw away a 1-4 lead in their last outing. The match gets underway and a strangely subdued atmosphere surrounds Hillsborough but after 3 minutes Miguel Llera tries a through-ball for Matty Fryatt, only for the Hull City loanee to be flagged offside. On the 9th minute Ryan Tunnicliffe feeds a ball to Daryl Murphy but the former Celtic man sees his effort blocked and cleared. Cole Skuse screws a shot wide moments later as Ipswich apply pressure to the home defence but Wednesday break and earn a corner when Dean Gerken saves an Atdhe Nuhiu strike. The Owls waste the corner and Town break - lumping a ball forward which David McGoldrick latches on to, he squares the ball across the box and Paul Anderson strokes the ball home to give Ipswich a 0-1 early lead. You would be excused for thinking the Wednesday players would drop their chins but the home team look to bite back immediately - a ball to Nuhiu in the Ipswich box gets nodded back across goal and Michail Antonio heads home the equaliser, smashing it into the bottom corner. In a wide open match Ipswich look to restore their lead within minutes, Murphy heads down to McGoldrick but the former Wednesday loanee fires high and wide. The openness of the game suddenly becomes a thing of the past as both teams struggle to get a foothold of the ball, inaccurate passes and fouls aplenty break any attempt at momentum. A 31st minute drive at goal by Antonio is blocked after good work by Reda Johnson and Ipswich almost make the Owls pay with a quick break, only for the home side to get numbers back quickly and quell any danger. The Tractor Boys start to control the midfield as Giles Coke suffers a dip in form and is easily bypassed in the middle of the field. One such lapse in concentration by Coke allows Town to break - Aaron Cresswell (making his 100th league appearance for the club) finding Skuse who drives a shot that beats Chris Kirkland only for the post to prevent the goal! 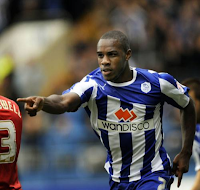 Moments later and Coke is replaced, fan favourite Jose Semedo coming on to take his place in midfield. Just before the half ends, Fryatt is put through on goal by the substitute and he smashes a shot straight at Gerken who does well to tip the ball onto the bar and out for a corner. The resulting corner is again wasted though and the half ends with the scores level. HT REVIEW: Not a bad first half by any account, would like the Owls to get on the ball more and continue the pressure provided by Jeremy Helan out wide. Llera needs to be replaced by McPhail as the set-piece taker, a few he has taken haven't beaten the first man. 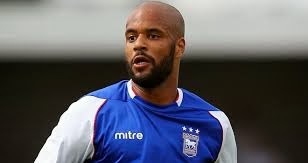 Ipswich Town look dangerous on the break and are threatening with McGoldrick up top. Burger and chips are washed down with a Coke and the players are out for the second half. Ipswich are quick out of the blocks and earn a corner within seconds of the restart but Murphy heads the cross wide of the post to the relief of the home fans. 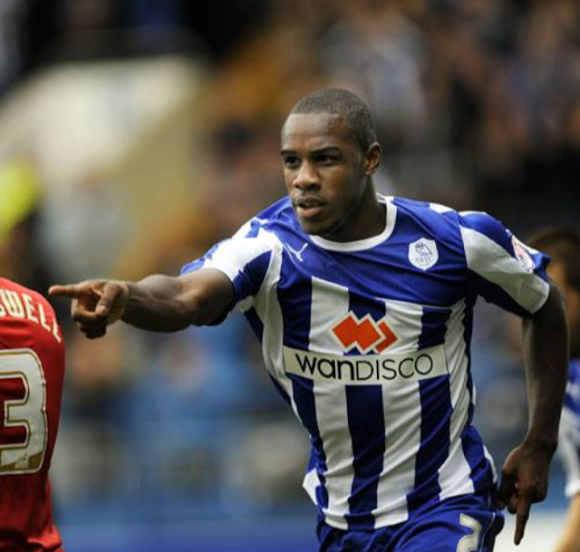 Antonio has had a good afternoon so far and his cross into the box is met by Reda Johnson who also heads wide. 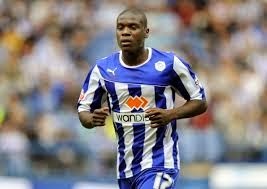 The Owls captain is soon replaced as he picks up an injury, Jermaine Johnson taking his place. On the hour mark Town come close again - Murphy drilling a shot wide of the post this time. A man in form, David McGoldrick. Wednesday waste yet another corner minutes later and they almost pay for it - Murphy finding Anderson with a square pass and the former Nottingham Forest midfielder finds Owls 'Player of the Month'Kirkland in fine form - saving his drilled shot at goal. Talking of a man in form, McGoldrick in goalscoring form almost adds to his tally when he heads towards goal - only to clear the crossbar. The lull in Wednesday attacking play is met with near silence from the stands but they are soon on their feet when a clever through-ball by Semedo finds Fryatt - only for play to halt with a linesman's flag again. McGoldrick fails to convert two chances in quick succession before J.Johnson breaks for Wednesday - frustratingly driving his shot at the legs of the last defender. Lacking in match fitness following a long injury lay-off, it comes as no surprise when Fryatt is replaced in the 74th minute - Liam Palmer replacing him. The Owls come close to taking the lead for the first time in the match when an audacious 35 yard rocket from J.Johnson smashes against the crossbar, bringing Wednesday fans to their feet once again. The Jamaican looks to be taking the game to Ipswich when he is fouled by Tommy Smith, earning the defender a yellow card. Jay Tabb replaces Anderson in the 78th minute and within a minute he releases a neat ball through the middle - only for Murphy to be flagged offside, the offside flag getting more action than the visiting keeper. That proves to be the former Sunderland forwards last action as he is substituted for Frank Nouble moments later. 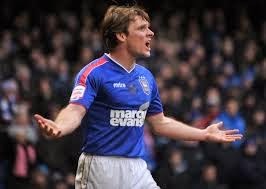 Ipswich look happy with the point as they waste time when on the ball at every opportunity with Wednesday pressing. As the action slowly peters out, J.Johnson is shown a yellow card for a foul on Skuse and just before the referee blows the final whistle, McGoldrick is replaced by 20yr old defender Tyrone Mings. FT REVIEW: I was sure that Wednesday would earn their first win of the season in this match, disappointing not to be the case but at least its not a loss. 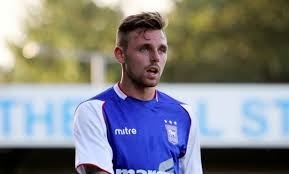 Ipswich looked very threatening on the break and would be happy with a point too after J.Johnson smashed the crossbar. Wednesday were again indebted to their goalkeeper as the slow closing down resulted in an abundance of shots at goal. I'd like to see more shots from the Owls - you don't have to have the perfect cross/pass - just take a chance at goal more often. With Bolton Wanderers finally getting a win on the board, they leapfrog Wednesday - dropping the Owls into the early season bottom 3. Dave Jones: "A point was a fair assessment I think, they had the first half and we had the second. I just wish we could have put on a show for 90 minutes like we did on Tuesday (1-1 draw with Brighton) - we popped the ball around and there was no panic." Mick McCarthy: "I'm delighted with a point, I thought we were excellent in the first half and I think we had to show a different side to us in the second - in terms of defending and being resolute. The second half they improved and we had to defend."